As we’re sure you can probably tell, we’re pretty obsessed with the products we carry! That’s because we partner with the best available on the market and because we love what we rep, we deck our own homes our with our products. In today’s post, we’re taking you on a home tour of one of our owners, Mark’s, home and showing you exactly what he has chosen for his space. Mark installed adorne’s sofTap Dimmer, Switches and Wall Plates into his main living area to give him maximum control of his lighting throughout his kitchen, dining area, and living room. 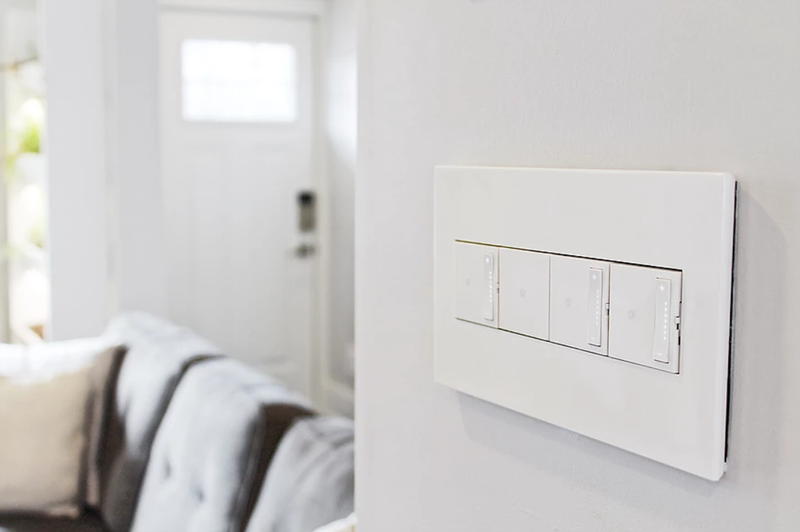 The sofTap switch responds to the touch of a finger, and the dimmers operate both with the touch of a finger and with a sleek paddle. The fixtures are finished with a 4-Gang Wall plate in the top photo and the 3-Gang Wall Plate in the second photo. These plates add a much sleeker, more contemporary look than the traditional wall plates. 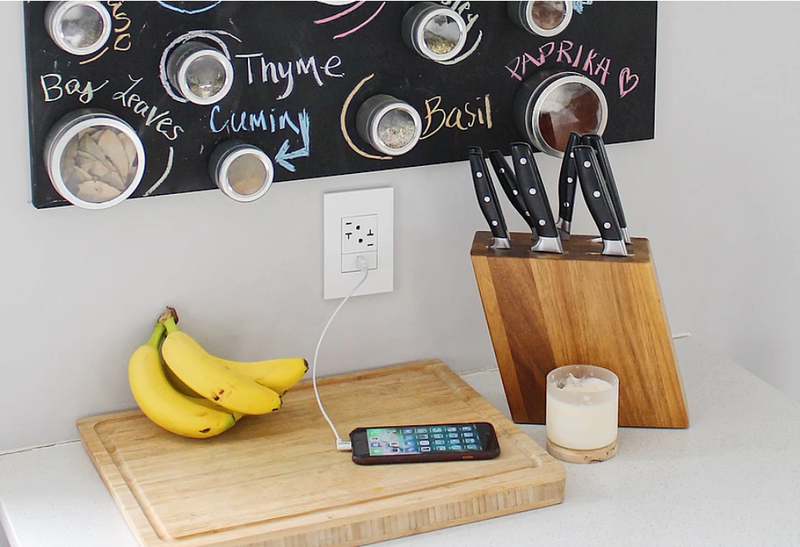 Mark created a convenient charging station in his kitchen with adorne’s USB outlet. What we really love about these outlets is that you can customize your own by choosing a combination of USB and plug outlets. 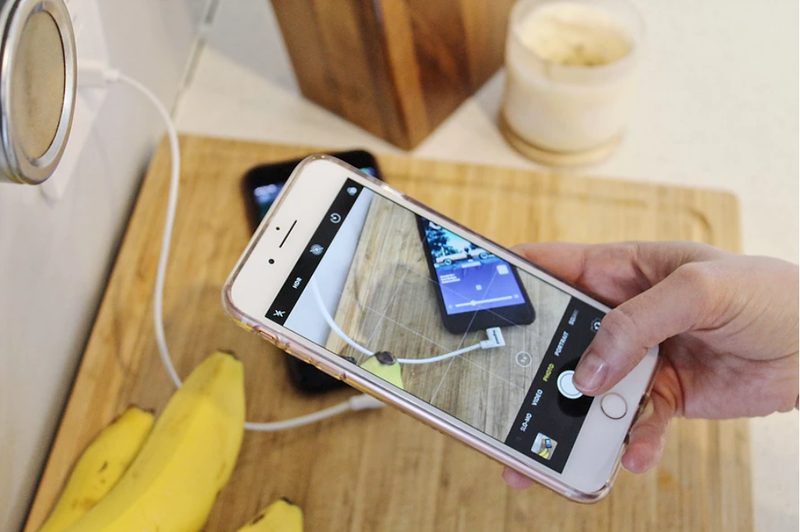 Pair a USB charging outlet with a standard outlet for maximum convenience and flexibility! And don’t forget to customize the look with the perfect 1-Gang Wall Plate, available in a variety of colours and styles. For convenient control of his home audio system, Mark uses the intuitive On-Q Digital Audio app from Legrand. 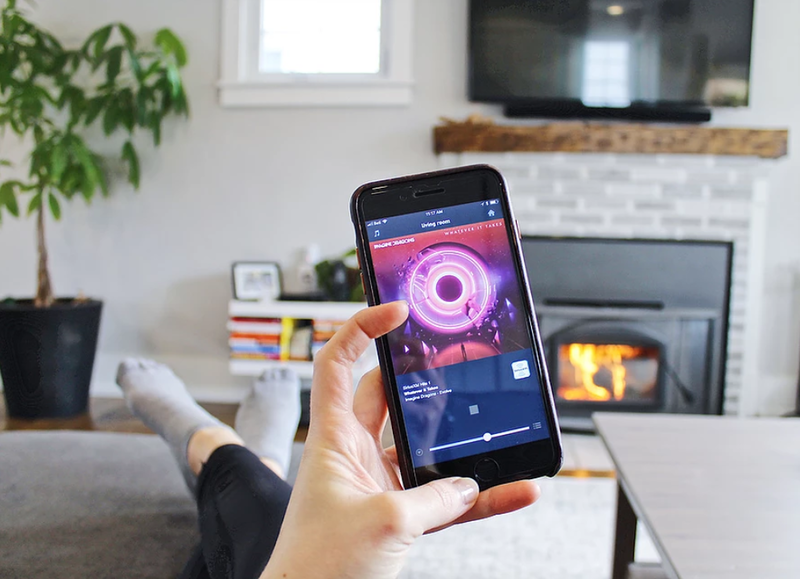 With the touch of a finger, you can control the audio (including your personal music and an expansive variety of Internet radio) in any room in your home or space. 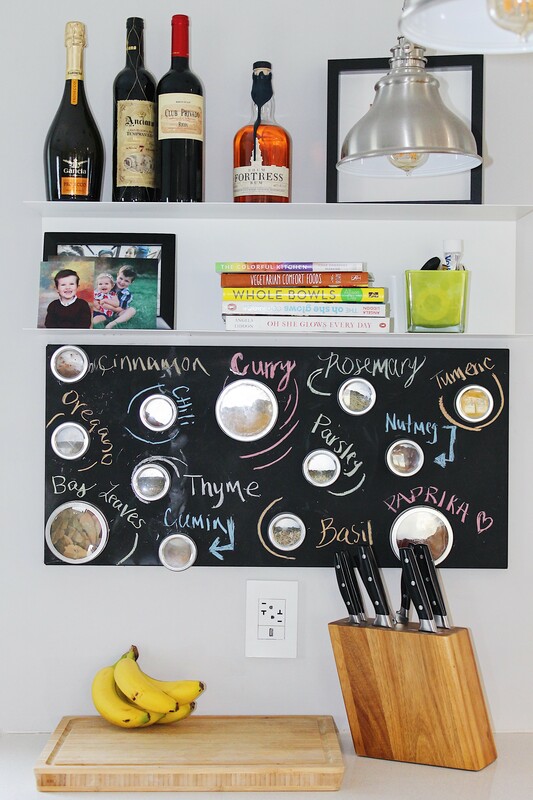 Perfect for entertaining or just for your own personal use! Audio isn’t the only thing in Mark’s home that he can control through his phone. 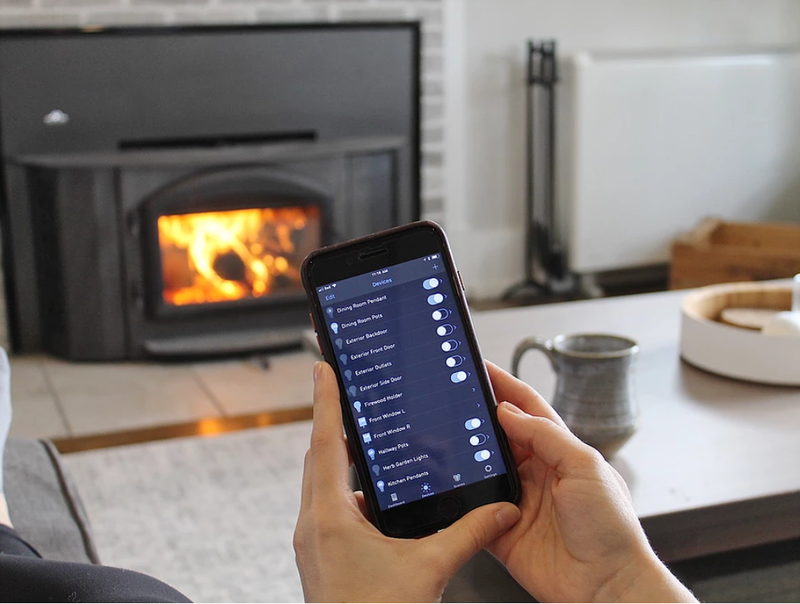 Legrand’s RF Lighting Control app lets him control all of his lighting anywhere that he was a wifi connection! This can mean dimming the lights from the comfort of his couch, or controlling his lights from outside the home. 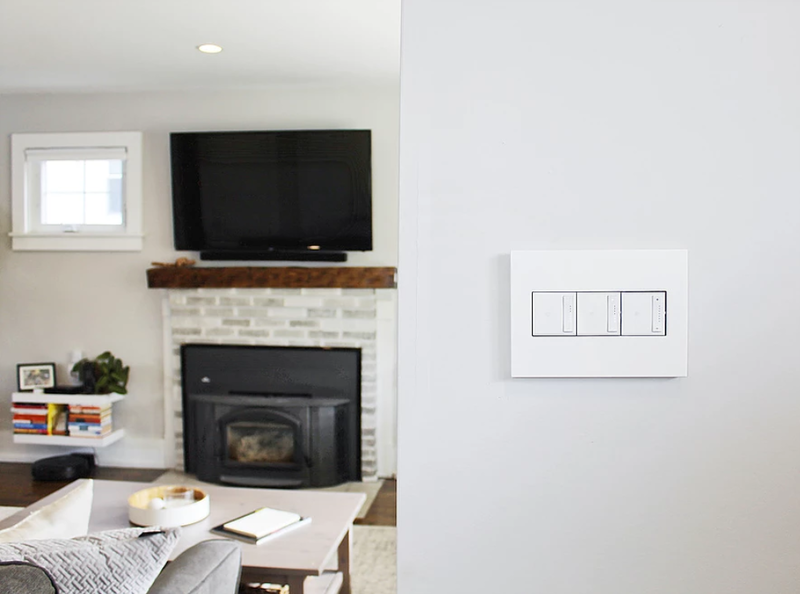 This system couldn’t be easier to set up, connects to all Legrand switches, dimmers, and outlets, and can be paired with Amazon Alexa and Google Home. Read more about the system here. Mark installed the adorned Accent Light, 2-Gang at the top of the stairs going down to the basement. 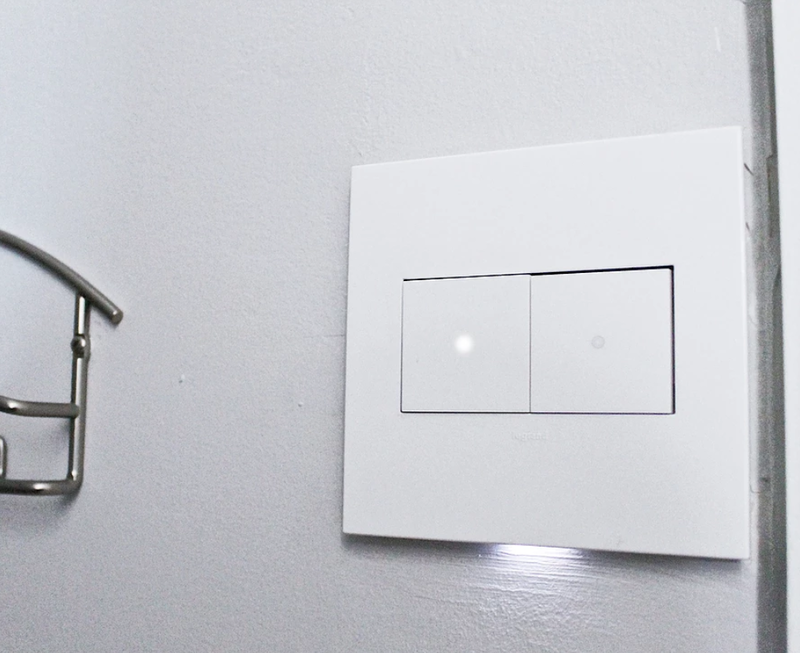 The Accent Light is built into the 2-Gang wall plate and offers the perfect amount of light to safely get you down the basement stairs without the need for an overhead light. It’s also a great option to use as a night light for kids or in any space where you want subtle lighting without an overhead light. Here, Mark has paired the Accent Light 2-Gang with two adore sofTap Light Switches. The Accent Light is also available in 1, 3, and 4-Gang. We had so much fun putting together this Home Tour, and we hope it helped give you some ideas on how our products can be used in and improve your space! Stay tuned for Parts II and III coming soon!